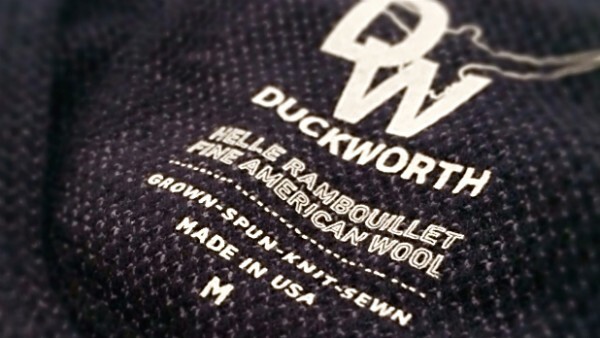 Aiming to revive the U.S. wool industry when it launches their line of outdoor apparel next month, Duckworth will be the only wool clothing company with its entire supply chain inside the American borders. The fine merino wool for every garment will be “source verified” from a single Montana sheep ranch, that of fourth generation rancher, outdoor enthusiast, and Duckworth co-founder, John Helle. 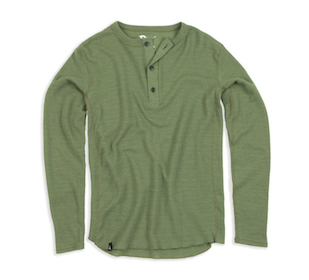 With the wool originating from the Helle Rambouillet merino sheep in Montana, processed to raw material in South Carolina and then spun, knit, and sewn into clothing in North Carolina, Duckworth will have the environmental advantage of cutting tens of thousands of miles from a supply chain that has ruled the market for decades. That makes them economically sound as well: less distance equates to more money spent on the actual clothing, along with competitive prices and more U.S. jobs, both an aim and pride at Duckworth. Beyond John Helle’s lifetime of experience, from genetics and breeding, to wool handling, not to mention one of the largest fine wool flocks in the country, his partners Robert “Bernie” Bernthal (President) and Graham Stewart (world renowned wool textile expert) are longtime veterans of the industry with more than sixty years experience between them. “We’re educating the knitters, yarn spinners, and sewers how to produce a quality product that can compete with the rest of the world,” or perhaps surpass it, explains Bernthal. As part of a tight-knit design team, he refers to the members as “wool technologists” due to the study and effort that has gone into fine-tuning their fabrics. But in the end, it comes down to the fabric itself, and Duckworth has an edge there, too. The Helle Rambouillet’s soft, long fiber has more natural crimp and wave than the straighter Australian or New Zealand wool, partly a result of the extreme conditions of both heat and cold in the high elevation pasture of the Montana Rockies. The result are knits with natural elasticity and exceptional strength, yet zero itch and great feel on the skin. It’s a fiber that designer Outi Pulkkinen says has “attitude.” The aim is a “classic outdoor element mixed with rugged ranch” that will keep comfortable and buoy the spirit of anyone who works and plays outside. Duckworth is for people “who wander the woods and fields, hunt and fish, ski, bike and appreciate their own backyard,” wherever that backyard may be. 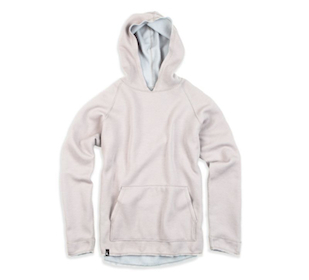 Duckworth’s full line, from soft, durable base- and mid-layers through their hoodies and outerwear, will appeal, Pulkkinen says, not only to people “getting their hands dirty” but to the modern, sophisticated consumers who want to get out there. “Young and old alike who are missing the connection with the real outdoors and things of true nature.” So it’s not just the fiber with attitude. The brand’s motto, Acta Non Verba (“Actions Not Words”) is the foundation that embodies the outdoor spirit on which they’re building the brand. 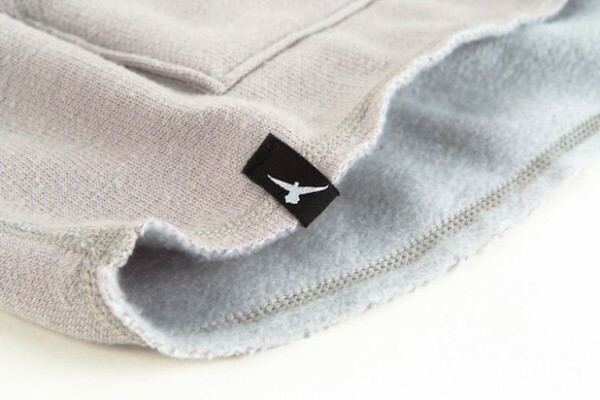 The initial line will feature about 20 items each for both men and women, from the ultralight, high-performance Hummingbird Crew to heavier outer layers, like the Snowcrest Shirt: a burlier shirt-jacket, in plaid carded wool, with a slim fit, two-button chest pockets, hand warmer pockets, and a tailored drop hem shape. 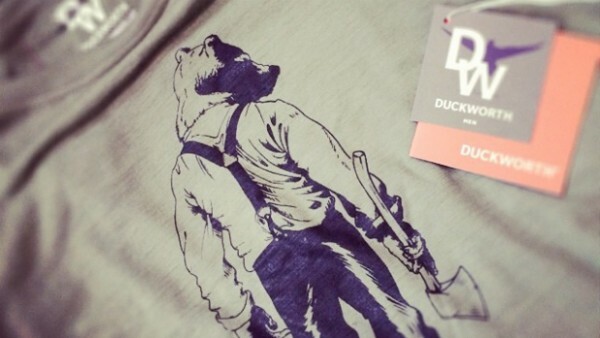 Outdoor retailer Schnees in Bozeman, Montana, who’s owner, Jon Edwards, is also a partner in the venture, will feature the Duckworth line — set to be available online and through select specialty retailers across the country. The sheep are shorn, the final stitches being sewn. Just in time for the first chill, the line is set to launch September 1, 2014.